Daisy and Marcus are proof that fairytales do come true and princes are real. When I think of Rock Chicks, most people would think of Indy or Alli, but I think of Daisy. She was the original, even before Rock Chicks were Rock Chicks. Even before we had her story, I knew it was going to be just as emotional and heart squeezing as the others. And I was sooo right. This will be spoiler free, so no worries. Daisy hasn’t had a very good life. In fact, I want to cry for what this poor girl lived with. She was a southern princess just waiting for her prince to rescue her. She suffered over and over, just waiting for him, but she eventually gave up. Little did she know that her prince was looking for her as well. From the very first moment Marcus laid eyes on Daisy, he was hooked. And not just on her looks. Daisy has a aura about her and he realizes that that’s what’s been missing in his life. The best part is, Daisy disagrees. She’s a stubborn princess. That’s what makes this story so great. He slowly chips away and heals her of all her past hurts and makes her realize that there is nothing wrong with her. She has done everything right in her life and he’s determined to make the rest of her life easier. There will still be heartaches and troubles, but with Marcus by her side, she can get through anything. I loved seeing glimpses of the Hot Bunch before the Rock Chicks came into their lives. I knew they were friends with Marcus before, but I never knew how it happened. They’re complete opposites, but they’re really not. And of course, in true KA fashion, she had me crying as I read that darn epilogue. It’s not as if I wasn’t crying already, but she saves it up and blasts us with full on emotions, right at the very end. Gah! I still get choked up when I think if it. This series was so much fun and anytime KA takes us back to them, I am so there. 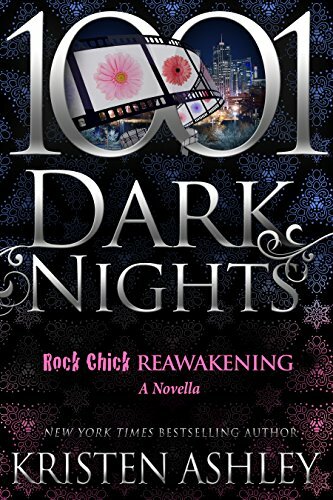 Grab Rock Chick Reawakening HERE. Read about all the Rock Chicks HERE.